Looking for new equipment, without the time or sometimes the expertise, can be daunting and time-consuming. So why not use our decades of experience and task us to find what you need? We work with many established, world-leading brands and this gives us a breadth of know-how so we can make appropriate recommendations specifically for you. How to Select a New Electric Motor? If you need a replacement electric motor, you’ve come to the right place. 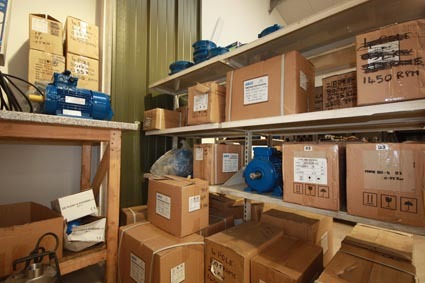 We stock a large selection of three-phase motors, up to 5.5Kw, along with a wide selection of common flanges. If your existing motor has stopped working effectively, our skilled engineers can help. In our experience, it can be very difficult to categorically identify issues from a description over the phone. Therefore we recommend an initial inspection, undertaken in our specialist workshop, as the most effective action to take. If your electric pump is part of a sewage treatment plant, it’s essential to choose equipment that is fit for purpose. Sewage treatment plants provide the means to adequately dispose of sewage waste. This can comes from a range of source, including domestic, commercial or industrial premises not connected to the mains. advice can be invaluable in ensuring you comply with the applicable laws and regulations. Maintenance and servicing requirements are fundamental when it comes to ensuring equipment is working at its best. Any investment that enables optimal performance and productivity, therefore, contributes to the overall success of business operations. In the event of a breakdown or necessary repair, you can rely on our prompt assistance. In the majority of cases, repairs can be undertaken on site by our skilled engineers; however, where necessary we’ll return to our specialist workshop to identify the issue. We have access to a broad range of spares and a highly skilled and experienced team waiting to assist. To minimise the risk of breakdowns that can severely impact the smooth running of your business, we also offer maintenance plans to suit virtually all equipment and budgets. We really value the relationships we’ve built with some of the top suppliers in our industry, and the service they provide us. It enables us to source the best to ensure we, in turn, provide you with the right pumps, fans, motors, ejectors, extractors, filters or aerators for the job. If you have any questions about any of our products or services, email our friendly team or give us a call. Better still, pop in and see us for a cuppa! How many Jammie Dodgers do you think it might take to choose a new electric pump…? Our location near Farnborough allows easy access from outer North West London, and across the South West to the South East of England.